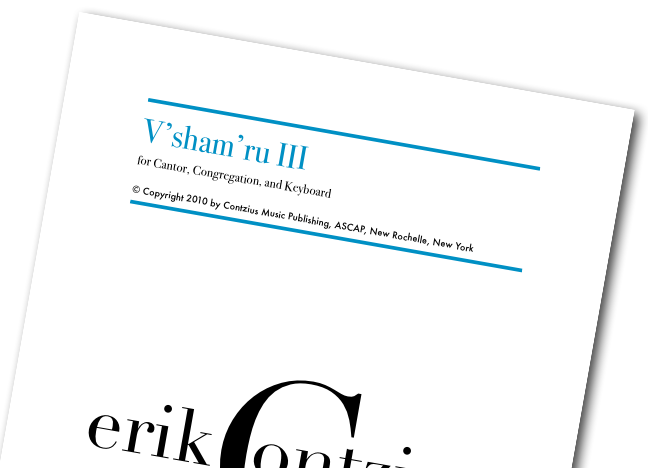 I recently composed a setting of V’sham’ru for my congregation. It’s a call and response and you can have your community singing it without much teaching at all! I also wanted it to have a taste of brisket and kugel for Shabbes. Add a little shmaltz, and you’re good to go (but just watch your cholesterol!). I want to share it with you, for free! I just ask that you share it with others! Like or Tweet to download the files. Cantor Contzius is a fantastic composer, true. But he is also a mensch.